The Nike Women&apos;s Half Marathon is coming to Washington, DC on April 27, and to commemorate the event, Nike is releasing a special "DC" running collection to get you ready. 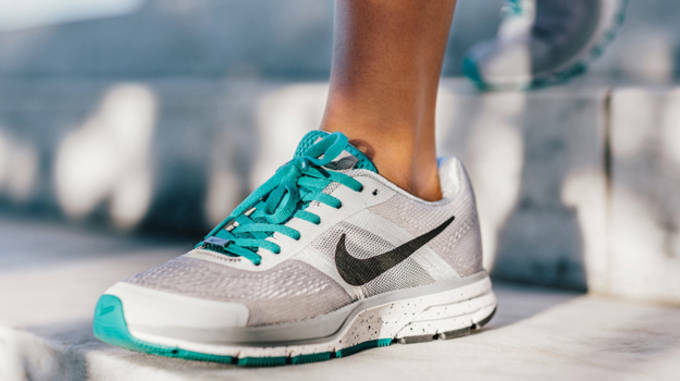 Comprised of the Nike Air Pegasus 30+ and Nike Flyknit Lunar2, the pack features two of Nike&apos;s signature running shoes done with white, black, silver, grey and aqua touches on each sneaker. Both models include supportive features, breathable mesh, and other Nike technologies essential to maximize comfort and responsiveness for the grind of a marathon. Both models will be available for purchase beginning tomorrow, February 19, at select Nike Running stores and Nike.com. Nike WMNS Air Pegasus 30+ "DC"
Nike WMNS Flyknit Lunar2 "DC"